(MoneyWatch) In both up markets and down, investors continue to pull money from U.S. stock mutual funds and plow into foreign stocks and bond funds, new data show. Total money flows to all long-term mutual funds recently jumped to $6.5 billion, but foreign stock and bond funds flourished at the expense of U.S. stock mutual funds, which continue to see cash fly out the door. 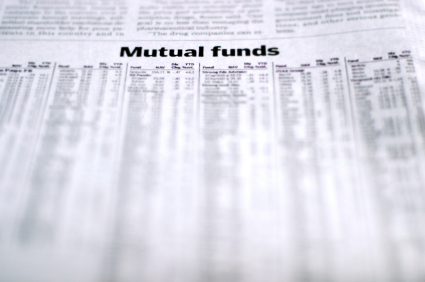 Domestic stock mutual funds suffered weekly outflows of $8.7 billion for the week ended April 18, according to the Investment Company Institute (ICI). Cash has been exiting U.S. stock mutual funds all year, but last week's outflows represented a sharp acceleration from prior weeks of outflows. At the same time, investors poured $8.7 billion into foreign stock mutual funds and $5.3 billion into bond funds. Hybrid funds, which can invest in stocks and fixed-income securities, had estimated inflows of $1.2 billion for the week. The sputtering stock market no doubt accounted for much of the selling. But it's interesting to note that investors pulled money from U.S stock mutual funds during the first quarter, too, which was the best start to a year for the financial markets since 1998. About $30 billion has flooded out of U.S. stock mutual funds so far this year.